Phonetic repair service: Fixing ATypI’s IPA | Isoglosse. Note: There is some dialectal variation with respect to the pronunciation of the phonemes in English words like ‘face’ and ‘goat’. In the British Received Pronunciation, these sounds are diphthongs: [eɪ̯] and [oʊ̯]. In many American varieties, by contrast, they are pronounced as monophthongs: [eː] and [oː]. In the recording that Stephen Coles was kind of enough to provide, we can hear that there is hardly any diphthongic movement in his own ‘goat’ vowel. That is one more reason to transcribe this vowel as a monophthong in his name. Note: The distribution of the phonemes /ɾ/ and /ʁ/ in Brazilian Portuguese is subject to regional variation. In the South of Brazil, it is the same as in Portugal (detailed here). I have followed these rules in my transcriptions. Different (and simpler) rules apply in other parts of the country: Here, /ɾ/ is only used when it is preceded by either /n/, /l/, /z/, /ʒ/ or a vowel as well as followed by a vowel. ‘Martins’ would be pronounced [maɦˈt͡ʃĩs] in these varieties. In either region, the realisation of /ʁ/ differs markedly from what is heard in Portugal. 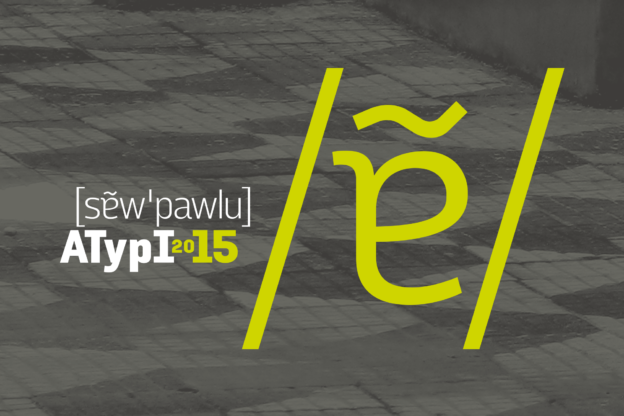 If you were a speaker at ATypI 2015 and would like to be featured in the list, just let me know. If you are already on the list and would like to contribute a recording, feel free to get in touch as well.